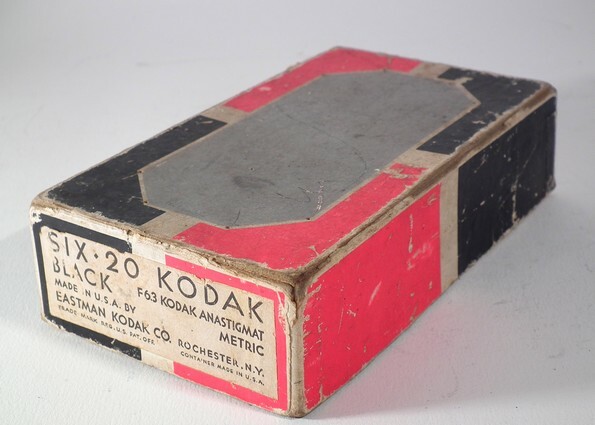 Manufactured in Etats-Unis from 1932 until 1937. This Six-20 is to be brought closer Six-16. The use of a smaller film explains the difference in size between the two. The general form is the same one. The front face is octagonal with a a little different decoration but always in the Art-Deco spirit; spirit which one finds in the enamelled sides decorated with geometrical reasons. The model of Six-20 does not have a handle, whereas other variants have one of them. Certain English variants have in addition to the American finder of the version, a framework finder. 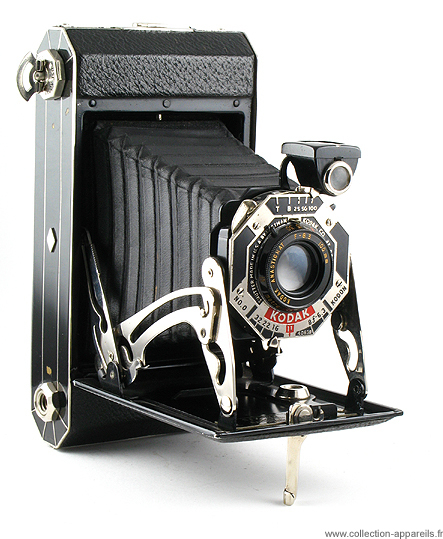 This Six-20 was manufactured from 1932 to 1937. The combination anastigmat f-6,3 100mm lens and shutter Kodon makes it possible to be more precise for that below. It was manufactured between February 1932 and 1937.